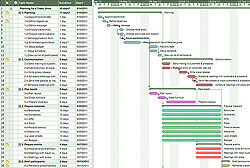 A Gantt chart is a bar graph that illustrates a timeline of a project. It charts the project from beginning to end. The project is composed of terminal elements and summary elements. Gantt charts show the current status of the project and also helps one to stay on schedule in order to meet the project deadline. 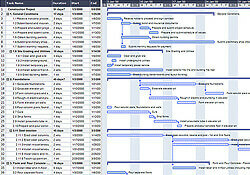 On the left side of the Gantt chart is a list of activities that must be completed within the project. Each activity is represented by a bar which has a start and end date. 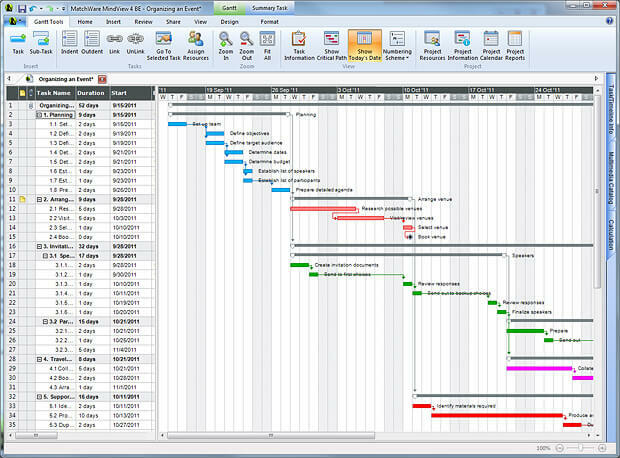 The Gantt chart will help project managers and other team members to visualize which activities need to be completed in order to complete the project, the beginning and ending of each activity, the duration of each activity, overlapping of activities and the start and end date of the entire project.